A visceral expression of humanity's incursions on the planet and an urgent cry to acknowledge humankind's responsibility. 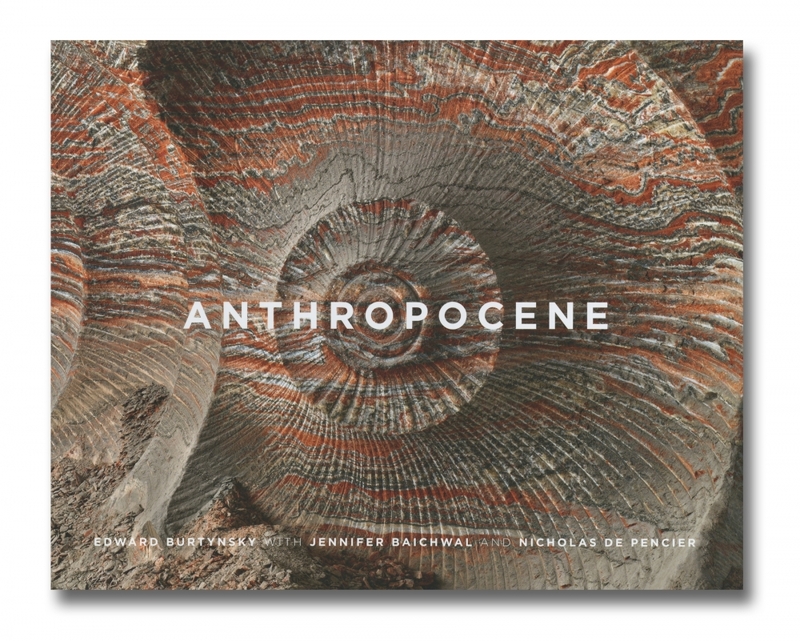 Anthropocene is a multidisciplinary body of work by Edward Burtynsky, Jennifer Baichwal and Nicholas de Pencier, which includes a photobook, a major traveling museum exhibition, a feature documentary film and an interactive educational website. The project's starting point is the research of the Anthropocene Working Group, an international body of scientists who are advocating to officially change the name of our present geological epoch, Holocene, to Anthropocene, in recognition of profound human changes to the earth's system. The AWG's research categories, such as Anthroturbation, Species Extinction, Technofossils, Boundary Limits and Terraforming, are represented and explored in various mediums as evidence of our species' impact on a geological scale. The works of Toronto-based photographer Edward Burtynsky (born 1955) are included in the collections of over 60 major museums, including the National Gallery of Canada, the Museum of Modern Art, the Guggenheim Museum in New York, the Reina Sofia Museum in Madrid and the Los Angeles County Museum of Art. His previous publications with Steidl are China (2005), Quarries (2007), Oil (2009), Water (2013) and Salt Pans (2016). Jennifer Baichwal (born 1965) has directed and produced documentaries for over 20 years. Manufactured Landscapes, about the work of Edward Burtynsky in China, was released in 12 countries. Nicholas de Pencier is a documentary director, producer and director of photography. Selected credits include Let It Come Down: The Life of Paul Bowles, The Holier It Gets and Act of God. He was also director, producer and director of photography of Watermark and Black Code.